During the first week of Advent, our church hosts Advent by Candlelight for the women of our parish. The event is beautiful, filled with a candlelit procession, speaker, music and fellowship. Many women host tables of 8. This was my 5th year hosting a table for our MOMS group. I completely enjoy creating a beautiful candlelit tablescape that will be perfect for the Advent season. This year, I went with a elegant and natural woodland setting. 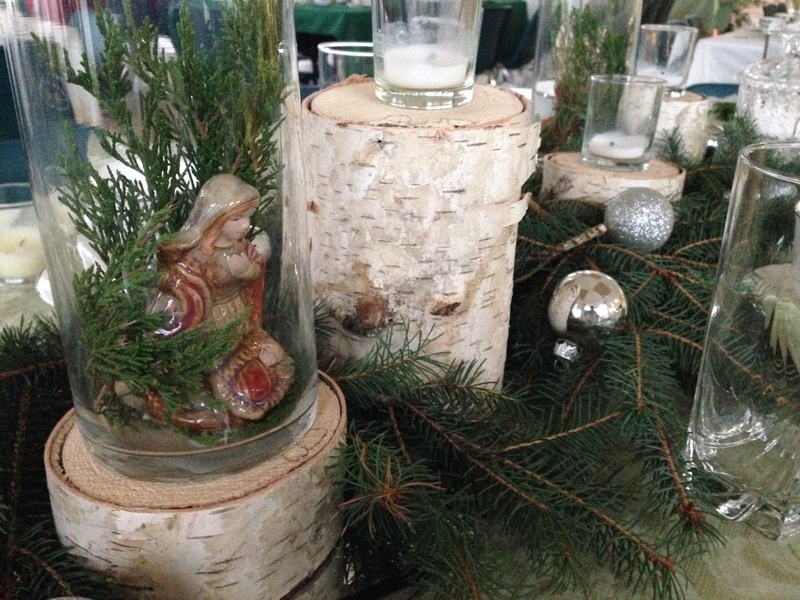 On pale green table linens, I cut sprigs of pine from my yard and elevated white votive candles on paper birch logs. A few shiny silver ball ornaments were scattered on top to add reflection when candlelit. Two cylinder vases were filled with fresh greens and a small statue of the Blessed Mother and Child. Since we represent the Ministry of Mothers Sharing group, we have always tied Mary into our table. 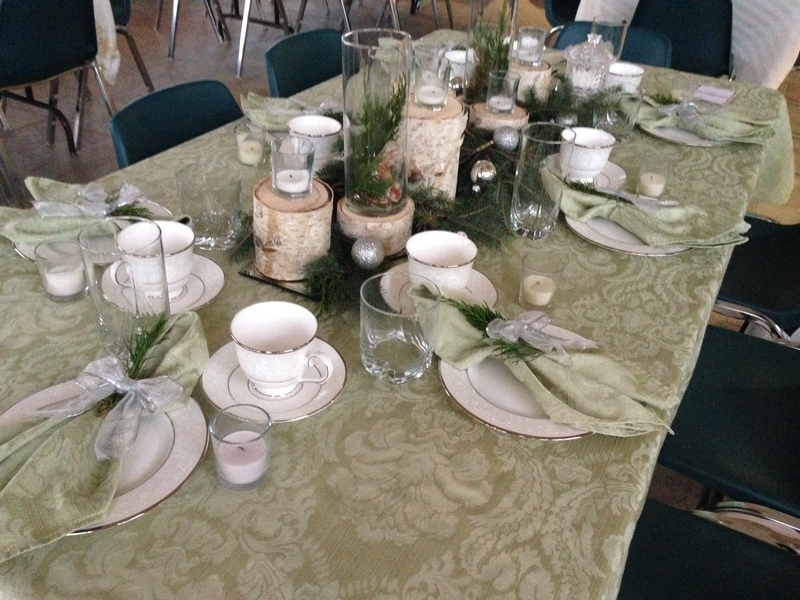 Every table is unique and beautiful and the gathering space at our church is the perfect setting. Especially at night when candlelit. 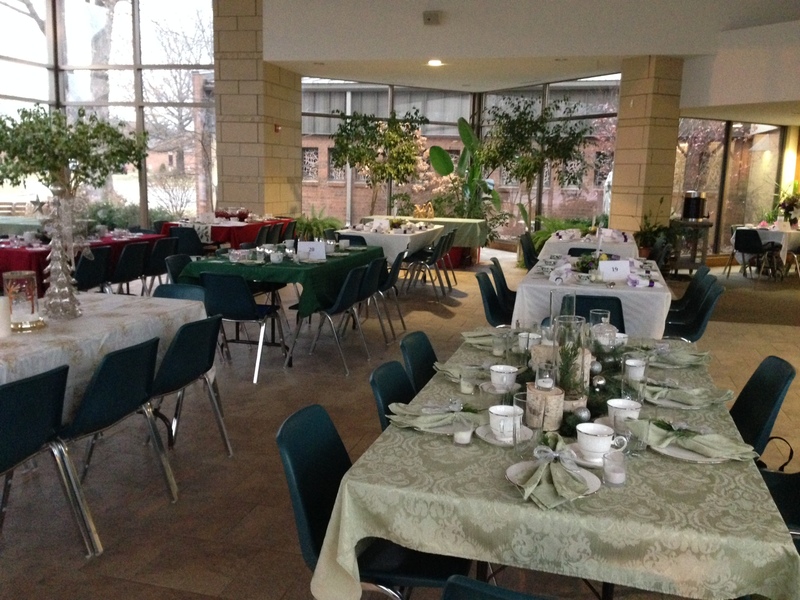 Another beautiful event to prepare for Christmas! Once the event is complete, I transfer the centerpiece to my dining table at home. It is now ready for a candlelight Christmas Eve dinner with my family. Happy Thanksgiving & a Giveaway! Hoping that you have a thankful day filled with family, friends & feast! 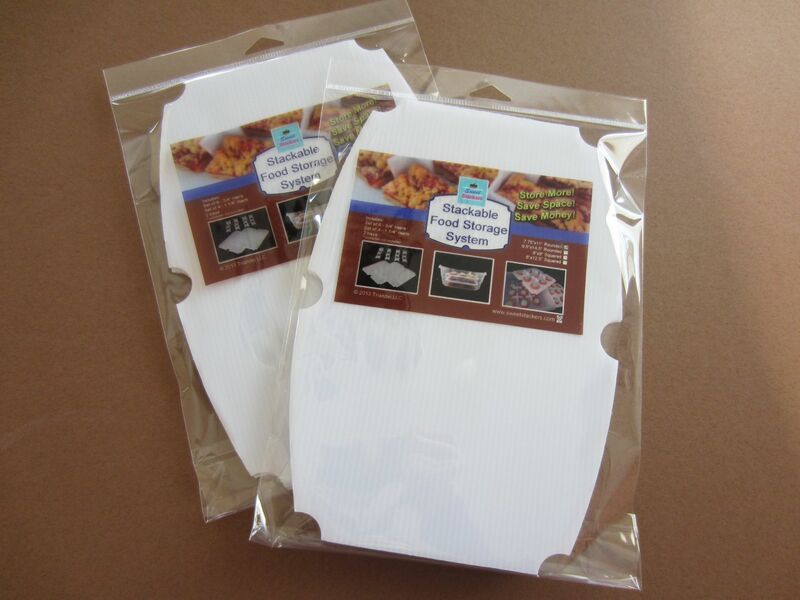 It’s time to start your holiday baking & Sweet Stackers is hosting a Facebook giveaway. Sweet Stackers convert your containers to multi-level, layer your baked goods neatly and make it easier to store and transport to a party! Stop by https://www.facebook.com/SweetStackers – winner will be picked at 10pm CST on Friday, 11/18/14. Plus find out about current promotions for the big shopping weekend! Last night there was an event at my church for the women of my parish to celebrate “Advent By Candlelight”. It is truly a beautiful event filled with music, a speaker, meditation, refreshments and fellowship – all by candlelight – all in the preparation of Christmas. 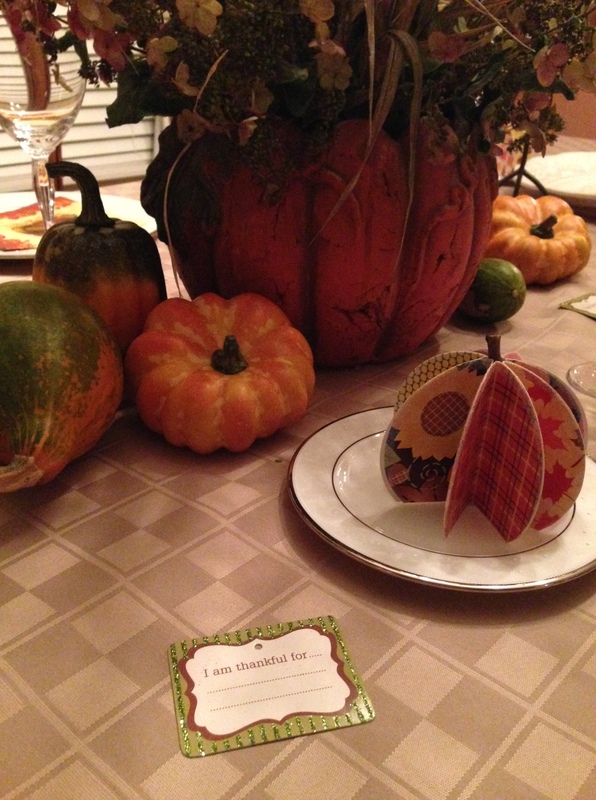 I decorated and hosted a table and baked a dessert to share. This is actually the 4th year that I have hosted and each year it is so much fun to design a beautiful tablescape; changing the color scheme and finding décor that will glisten and illuminate by candlelight. 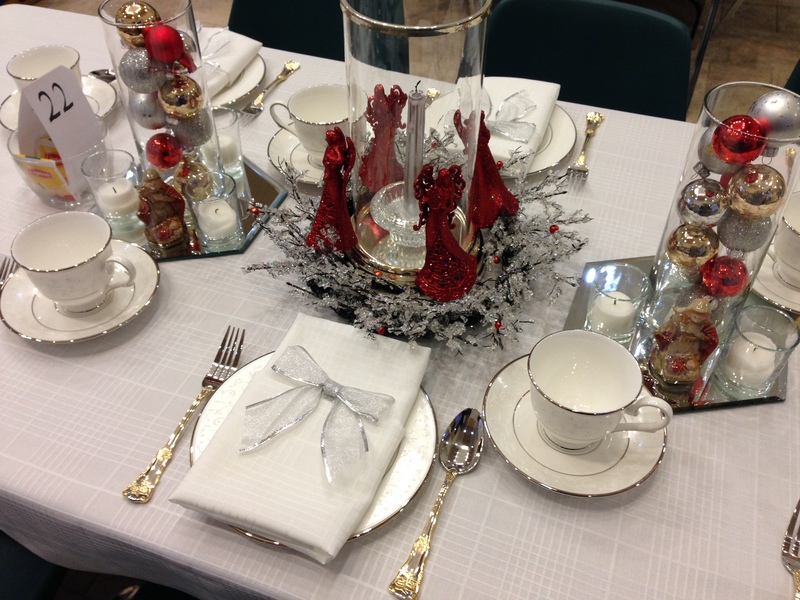 This years table was classic white with shiny silver, gold and crystal accents and a little pop of red from the glittery angels. On the glass mirrors, cylinder shaped vases were filled with small glass balls and surrounded by white votive candles. Unfortunately, I did not get a photo at night when it was candlelit. 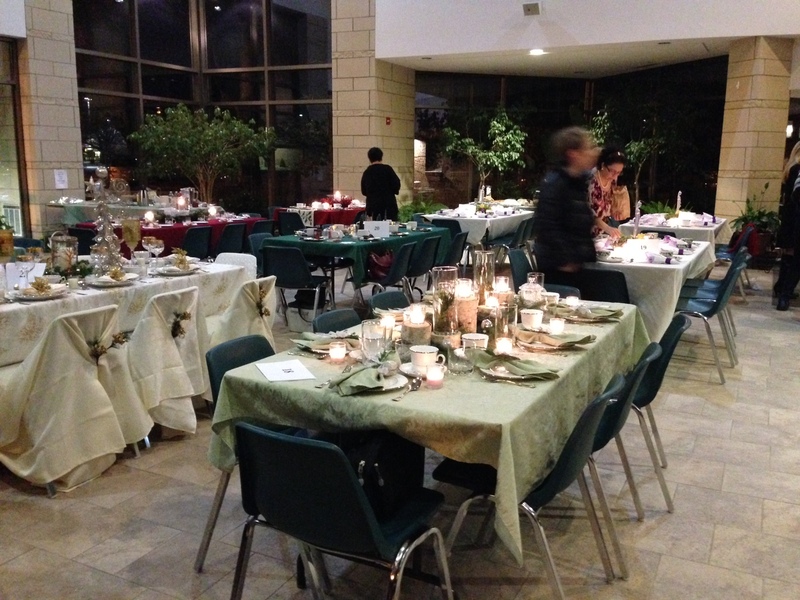 But this was just one of the many tables at the event – it was a special night!